PLEASE NOTE THAT WE ARE NOT LOCATED IN DONEGAL TOWN! Hostel consists of two spacious ensuite dormitories with ten beds in each, double self catering kitchen where you can cook crabs, lobsters, mussel,oysters and fish - all available from local fishery. You can also fish or swim from the pier below. Some guests surf, dive, canoe etc with own equipment. Three late pubs,pub grub,supermarket 2kms. Famous raised beach full precious stones nearby. Meet friendly locals on walks-in pubs-everywhere! This area is no folk village - its for real. Cycle hire at hostel. Walking routes in several languages. Musical instruments available. No curfew but we normally cease taking new guests after 10pm unless prearranged. Bookings with estimated time of arrival should be confirmed one day before arrival or booking maybe cancelled. We do not accept credit or debit cards at the hostel. We are in Euro Land! Horse riding stables are available within 16 kms of hostel. 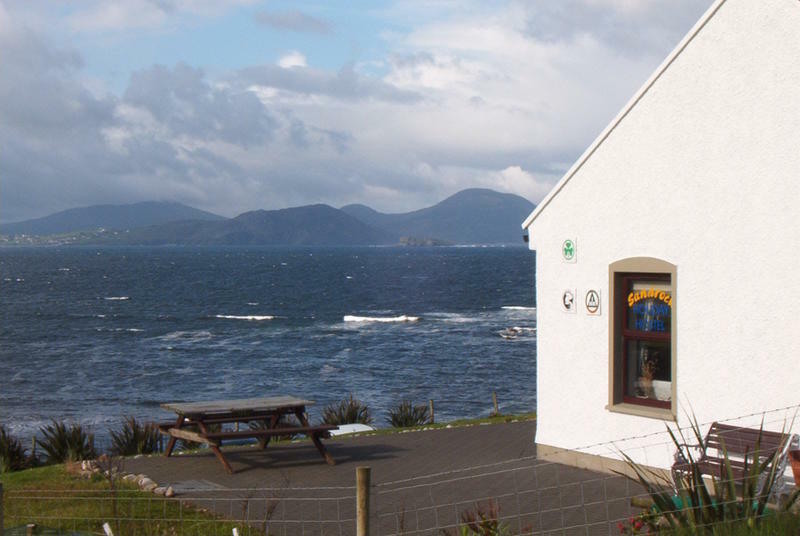 During summer months basking sharks and dolphins can frequently be viewed from Hostel. 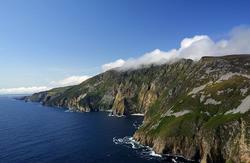 Malin Head is now one of the three hotspots in the World to view Basking Sharks. The Aurora Borealis 'Northern Lights' can occasionally be seen at Malin Head each year normally in January through to the end of February. Spectacular photos have appeared on TV and in the National Press confirming sightings. During May and June at Malin Head on the North Coast of Donegal was teaming with BASKING SHARKS clearly visible from Hostel. Over 100 have been tagged in 2010 and 2011 by the Irish Basking Shark Project! 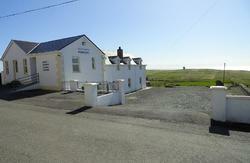 See Sandrock Holiday Hostel on GPS : N 55 degrees 21.72 mins/ W 007 degrees 21.5 mins. 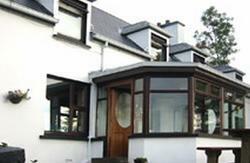 If coming direct to Sandrock Holiday Hostel from Belfast, Dublin or Galway get the Derry bus. Derry has local services to Carndonagh (CARN) Inishowen. Do not catch the Donegal bus. This goes to Donegal Town which is 100km away. John McKinley Buses leave Parnell Square, Dublin twice each day Monday to Saturday at 9-30am and 5-45pm and arrive in Carn [Carndonagh] at 14.05 and 10.20pm. If travelling on one of these buses, phone before leaving Dublin for taxi details in Carn when** there is no bus connection to hostel. Buses return to Dublin at 7.20am each morning 4pm each afternoon and 3.15pm on Sundays. Journey times 5hrs and cost around 24 return - students cheaper! You can catch a Bus Eireann to Derry at regular intervals from Dublin the then catch a Lough Swilly bus in Derry at 1pm or preferably the North West Busways (red bus) at Patrick Street Derry - opposite the Cinema at 3.10pm to Carndonagh (Carn) from where you can **catch the Inishowen Rural Transport bus to Malin Head (direct to the hostel on request) at 4pm daily on Mondays to Fridays. or hitch or hire a taxi.